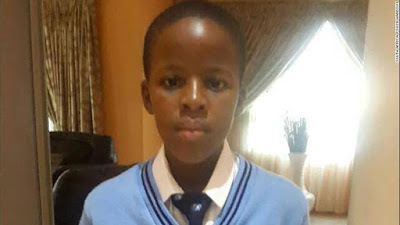 Heavenly Father, today we fervently pray for 13-year-old Katlego Marite, who has been held captive by kidnappers since Sunday. Lord, we pray for your peace that transcends understanding to descend on the boy known as Nkandla as he endures this harrowing situation. We pray for his parents, who do not have enough money to pay the 15-bitcoin ransom. Give them peace, wisdom, courage, and support from their loved ones. We pray for law enforcement officials as they seek to solve this case and bring this boy home. Lord, we pray for the kidnappers right now. We pray they will recognize the foolishness and wickedness of what they have done. May they realize that this situation cannot end well. Ideally, we would like to see them surrender themselves and safely return this young man to his family. If they are not ready to do that, give them the resourcefulness and creativity to return Nkandla without anyone coming to harm. Jesus, we are asking for a happy ending to this story. Please glorify yourself in this sad situation. Amen.